"Gotta be myself, and I mean myself." You may recognize this sound, but under a different group, namely Restoring Poetry in Music (RPM). 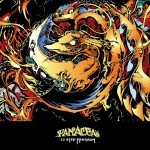 Both Jason Moore (Raw Poetic) and Kyle Murdock (K-Murdock) started out in RPM, and created a side project, Panacea; but the two groups have some slight variations. 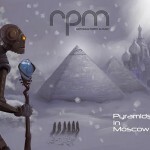 RPM is a band consisting of five instrumentalists (or so), where as Panacea consists of K-Murdock on turntables, a sampler, and maybe a few other devices with the help of Damu the Fudgemunk. Both groups have Raw Poetic as the front Emcee, and gee golly gosh is he good… did I really just say that? :? The difference in sound between the two may seem slight at first, but once you immerse yourself in ’em, you notice the contrasts in style. Raw Poetic’s style is relatively similar throughout the groups, but K-Murdock switches it up, bringing a more progressive, experimental sound to Panacea. 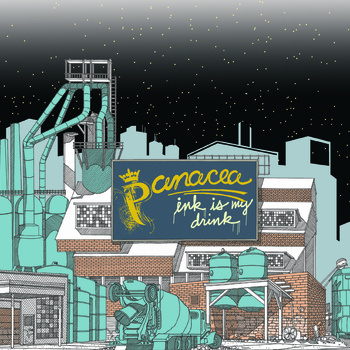 I had quite a few songs I wanted to feature from Panacea’s four LP’s, but I decided to go with Ecosphere from Ink is My Drink. K-Murdock creates a stunningly poignant beat, and features Patrick Fritz (P-Fritz) from RPM, who has an amazing voice, and I mean amazing! Though, this song doesn’t do him justice, so go to one of RPM’s features (here or here) to really capture his stunning vocals. You won’t be disappointed!… I mean, the guy is so good I kinda have a man-crush on him. ;) Anyways, compare this song to RPM’s, and tell me what differences you find… if you’re up to the challenge!